After getting our passes, the first thing we saw before heading in was this exhibit by PinoyLUG that is located just beside the entrance. :) Of course, my husband being a big LEGO fan, this cannot be missed! Next stop was the display area where different collector's showcase their toy collections. I love how diverse these collections can get. From trendy toys down to vintage or rare ones and they show that even adults can still love toys. The toy lineup of Anatoy is something I find weirdly cute! Maybe the fact that they're from South Korea also contributed to it? Haha! Love SoKor and I love vinyl toys! I super duper wanted this cute SFBI Originals toy called Soda Kats! ♥ ♥ ♥ It's so freakin' adorable!! But it was a tad expensive for me at Php 3,500 a box! >_< I needed to be practical haha! But this will haunt me forever! At least I have a photo! =P It will have to do! While going around the Popaganda booth, I saw a line near The Walking Dead area and boy! When I saw Rick Grimes a.k.a. cosplayer Cecil Grimes inside and he looked SO MUCH like TWD actor Andrew Lincoln, I had to line up too! The resemblance is uncanny and even if you do a second take, you would actually thin he's the real deal. We were all SHOOKT! He also deserves brownie points for being so friendly! He shakes hands with people who took photos with him and he even lends out his props to make the photo even more fun! ^_^ Cool guy! After going around a bit, we had lunch and met up with my blogger friend Pauly who is also a toy enthusiast and all-time big collector of anything Superman! :) He also recently found his love for Funko toys, so welcome to the club!! Lesson learned: take care of all your toys very well! They can turn into big investments! I was such a RugRats fan in grade school cos I watched this on Nickelodeon every single time and I remember having the Schooltime Baby Dil doll. :) Super cute! I wish I asked how much this was! 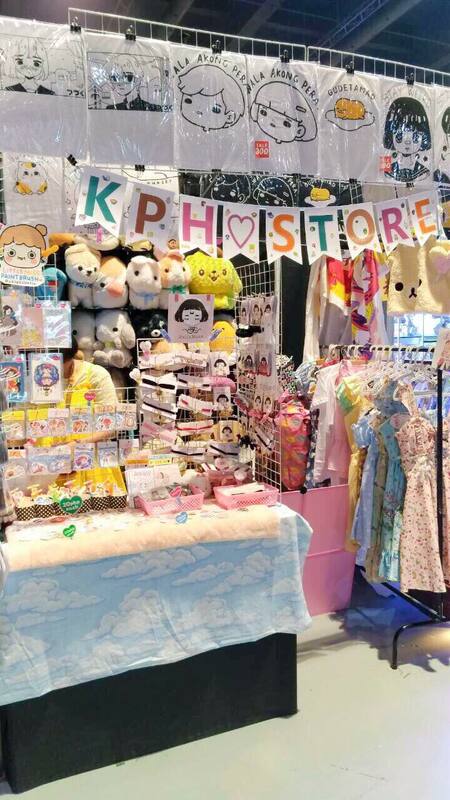 Kawaii PH is also at TOYCON! :) Visit them for the cutest merchandise! 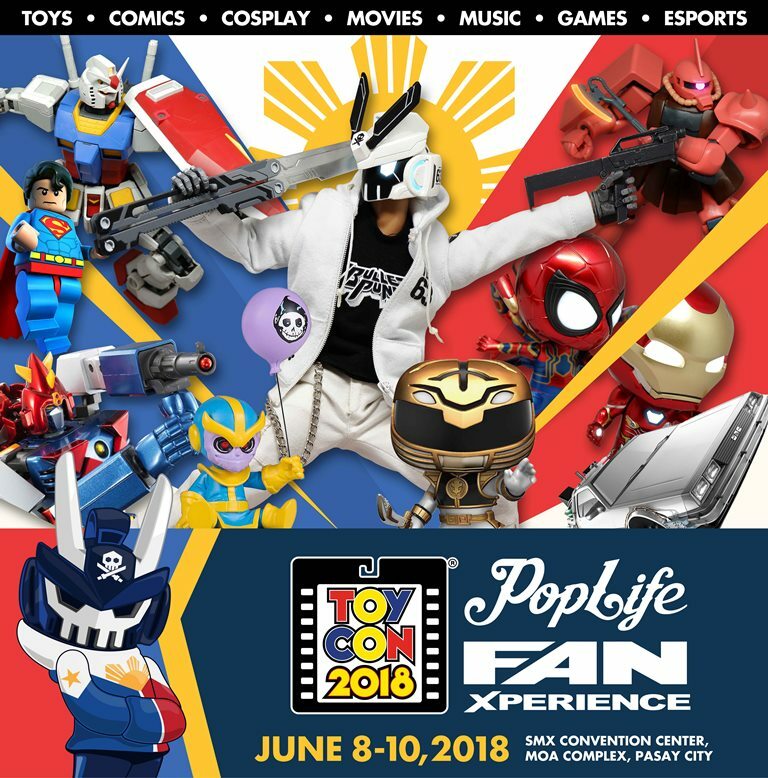 This ends my Day 1 experience at TOYCON! :) It was super fun and can't wait for next year! Don't miss out their last day today - June 10! **Toddlers below 3 feet & Infants are free. **Children below six years should provide proof of age. **Ticket upgrades are allowed on the day of the event or at designated outlets before the event. Until supplies last.